Noctilucent Clouds Our connection with NASA's AIM spacecraft has been restored! 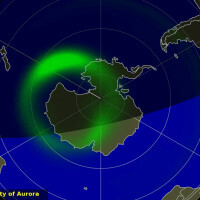 New images from AIM show that the southern season for noctilucent clouds (NLCs) is underway. Come back to this spot every day to see AIM's "daily daisy," which reveals the dance of electric-blue NLCs around the Antarctic Circle.. 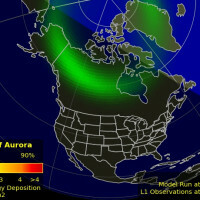 The CME could arrive as early as Feb. 14th, although Feb 15th is more likely. 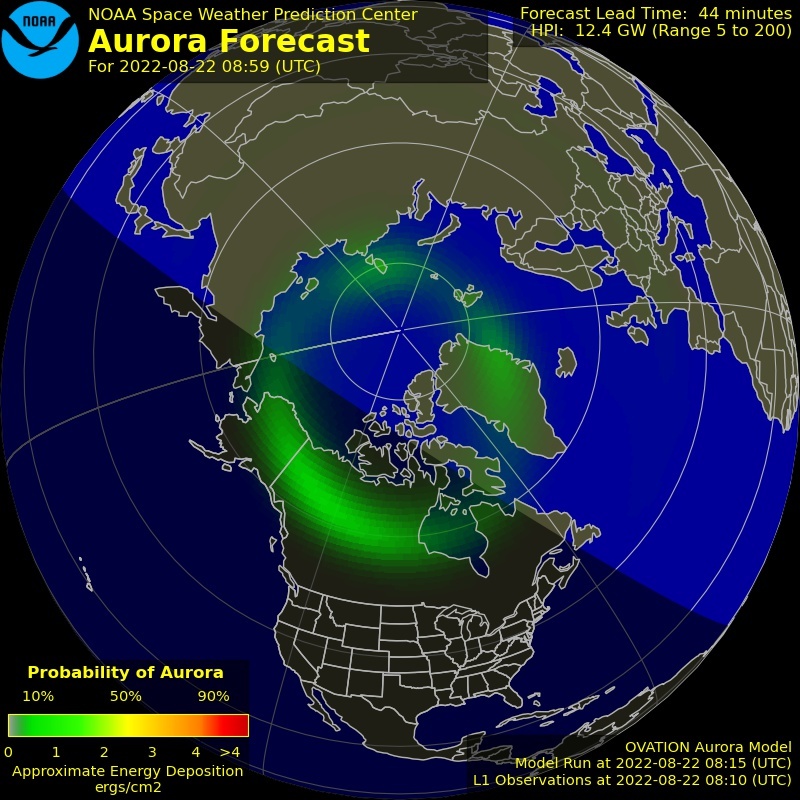 NOAA forecasters say there is a 60% chance of G1-class geomagnetic storms with isolated periods of stronger G2 storming. The effectiveness of the CME could be enhanced by a stream of solar wind that was already en route to Earth when the sunspot exploded. 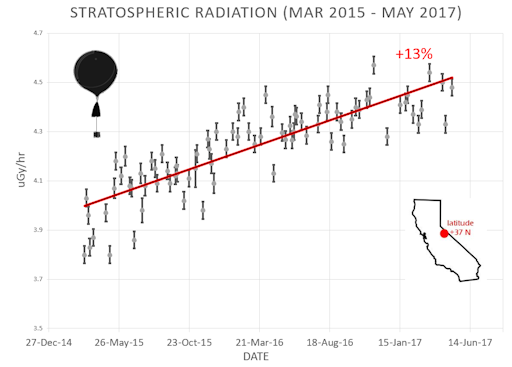 The solar wind is flowing from a large wedge-shaped hole in the sun's atmosphere. 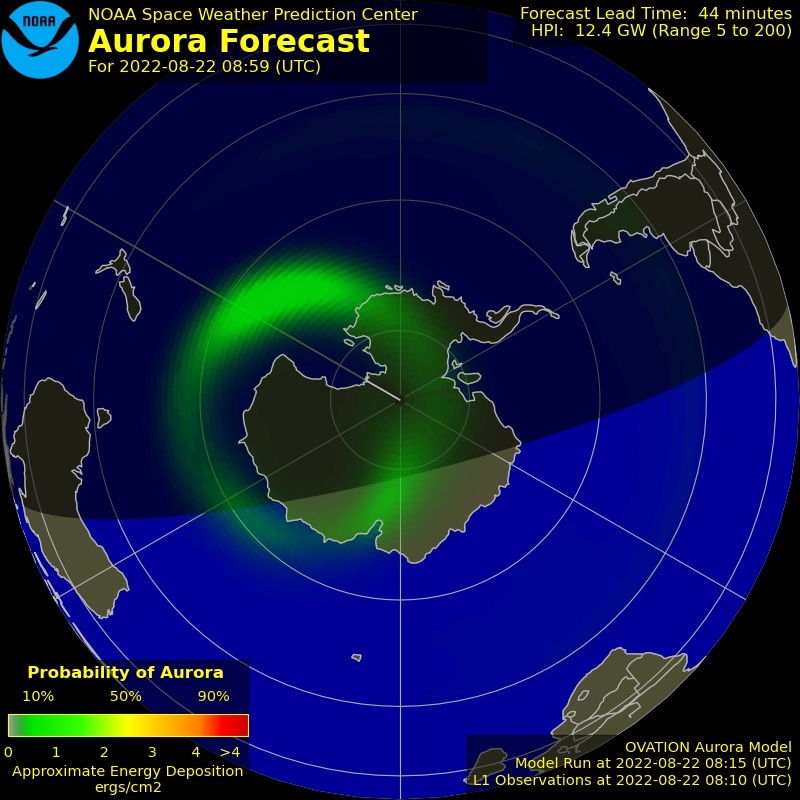 If the approaching CME sweeps up material from that stream, snowplow-style, it could strike Earth's magnetic field with extra mass and potency. Nothing says "I love you" like a space pendant, and you can have one for $199.95. 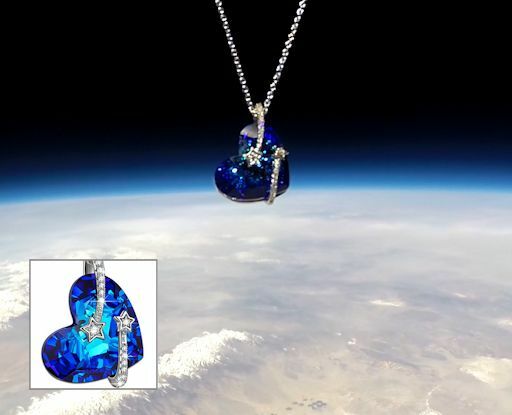 The students of Earth to Sky Calculus flew a payload-full of these heart-shaped Venus pendants to the stratosphere onboard a high-altitude helium balloon. The one pictured above is floating 110,550 ft above the Sierra of Centrl California. With a sterling silver backface that says "I Love You to the Moon and Back," these blue jewels make great Valentine's, Mother's Day, and birthday gifts. Each pendant comes with a greeting card showing the jewelry in flight and telling the story of its journey to the stratosphere and back again. Sales of this pendant support the Earth to Sky Calculus cosmic ray ballooning program and hands-on STEM research. 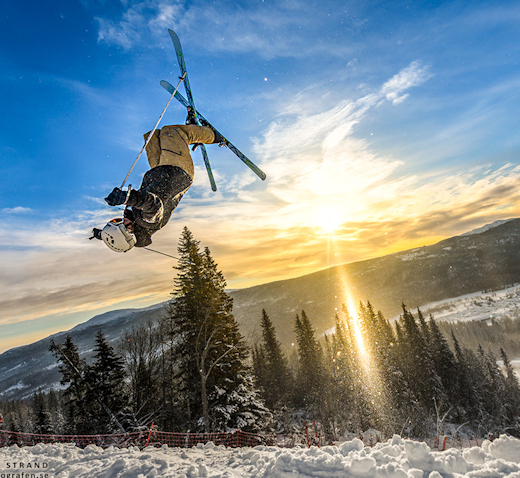 "This is my first ever backflip-subsun combo," says Strand. "A lucky catch!" The subsun is a reflection of the actual sun from jewel-like ice crystals called "diamond dust." Take a closer look at Strand's photo. You can actually see the individual crystals glinting in the air. 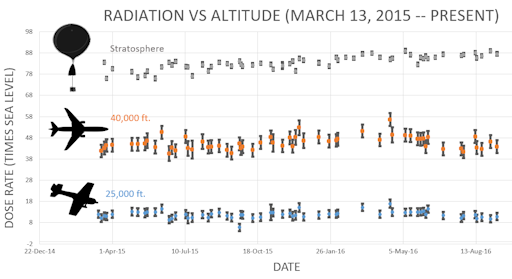 Ski resorts turn out to be an excellent place to see subsuns and other luminous halos around the sun. Atmospheric optics expert Les Cowley explains: "Modern snow blowers are the key. Many use biological material as highly effective nuclei on which the desired snow crystals grow. Near optical perfect halo forming crystals (simple long and short hexagonal prisms) are an unintended by-product. The latter grow very slowly on the nuclei downwind of the blowers." "I have several colleagues that twenty years or so ago traveled to the South Pole in order to study [complex ice halo] displays," he adds. 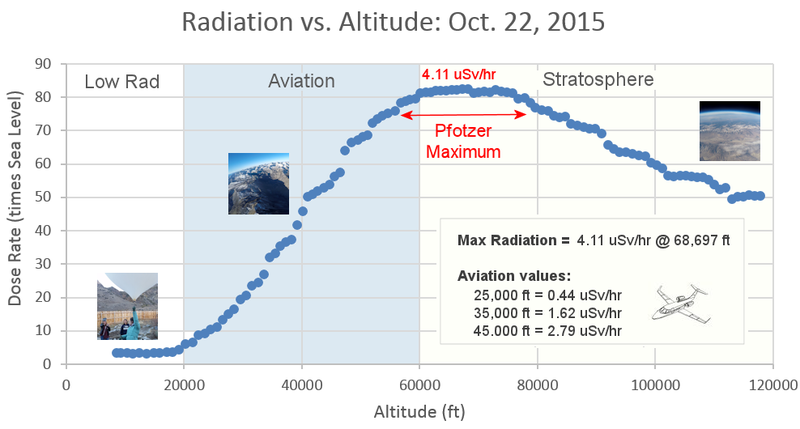 "Now they travel instead to locations near ski slopes and study the halos at night using artificial suns." 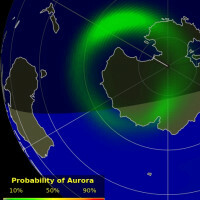 On Feb. 14, 2018, the network reported 7 fireballs. On February 14, 2018 there were 1882 potentially hazardous asteroids. 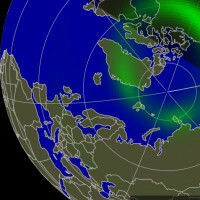 Spaceweather introduces you to fogut.com where you can read out some great good morning quotes for her.